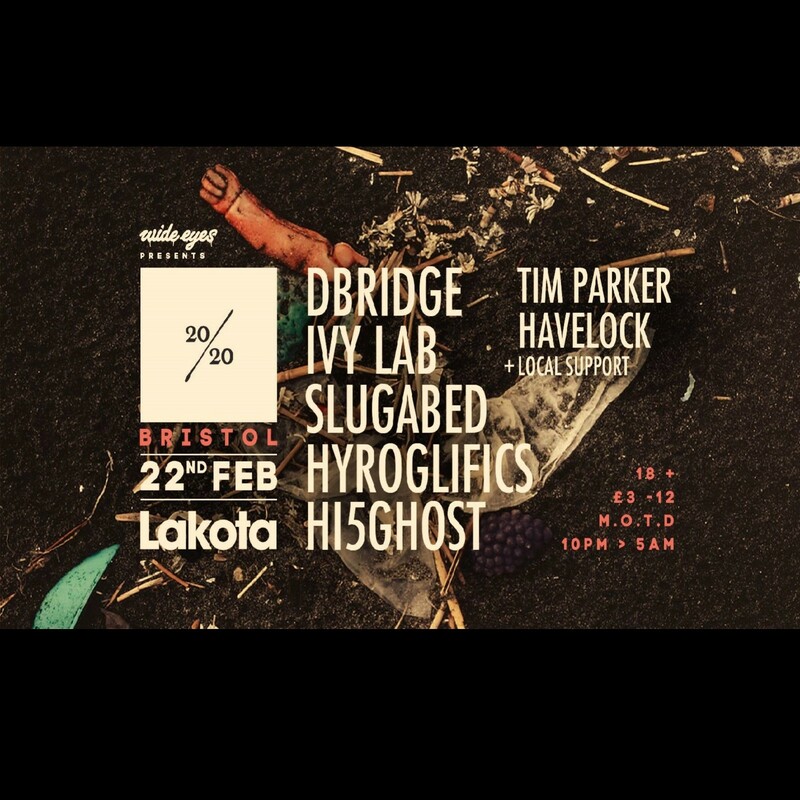 The 20/20 project is teaming up with the crew at Wide Eyes to make its main room debut in Bristol. Traversing territory across the spectrum of bass music, electronic hiphop & experimental electronica, we’re coming to the SW armed with a troupe of future-facing selectors tasked with issuing curveballs. Future beats champions & 20/20 founders Ivy Lab will be joined by pioneering taste-maker Dbridge (Exit Records UK), Veteran electronic hip-hop creator Slugabed (Ninja Tune, Planet Mu (OFFICIAL), Big Bass pretty boy Hyroglifics (Critical Music, Alpha Pup Records) grime & dubstep producer Hi5ghost (Bandulu), & 20/20 Residents Tim Parker (NTS Radio) & Havelock.